You guessed it.. SPACE! 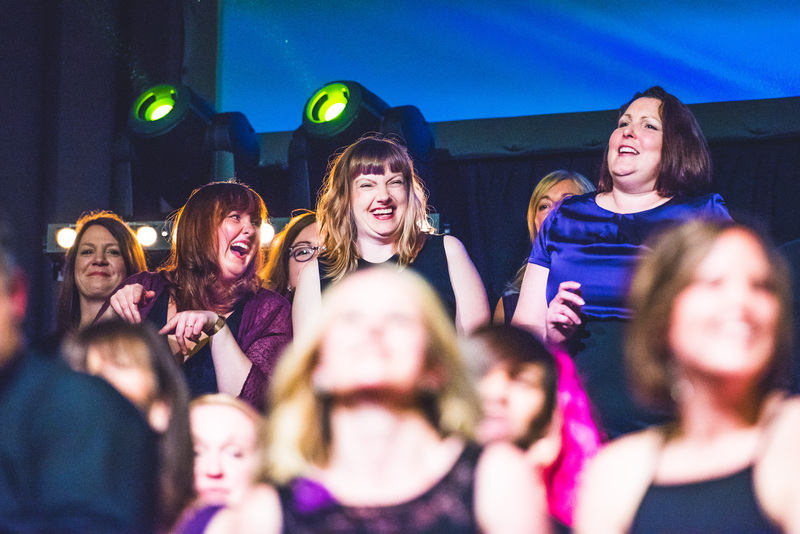 When Dan and Jack released the news we could barely contain our excitement… from name dropping all our favourite space themed songs in hope they might be dropping into our set list, to rocket emoji’s and eagerly awaiting to hear what the set list would be. After 100% sell out shows in previous years and this year set to be the biggest, you could say we are on cloud nine! 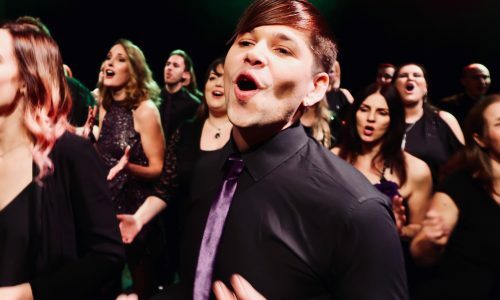 One Sound is a choir collaboration show that we couldn’t be prouder to be part of. Starting off in 2015, One Sound is now reaching new heights and this year is set to be the biggest. Securing Southampton O2 Guildhall on May the 4th (how apt indeed! 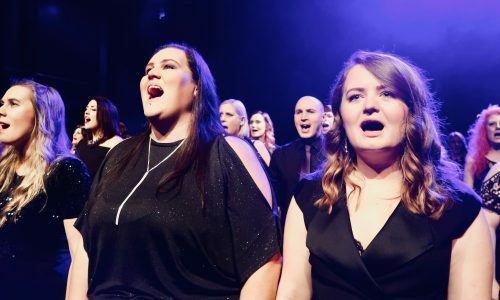 )… we all feel incredibly privileged to be able to perform at one of the biggest venues in our city alongside: Sing Now Choir, SingForce and Total Voice Contemporary Choir. 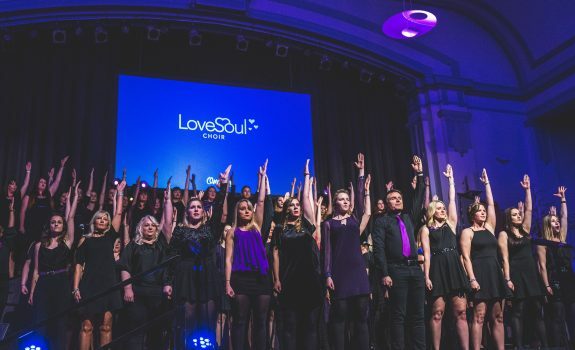 Being part of Love Soul Choir has provided us with lots of opportunities, but mostly it has enabled us to form new friendships and One Sound is an even bigger extension of this family. 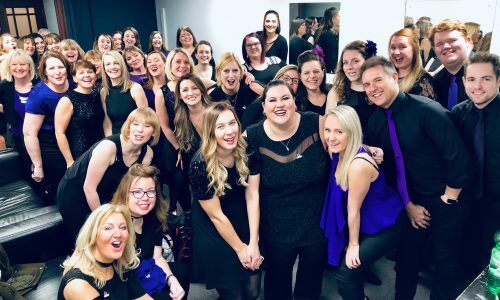 As a previous member of Sing Now Choir, it is always lovely to see familiar faces when we join forces again and meet new members too, as each choir has grown in size year on year. Love Soul Choir have been running through some favourites ready for our set list, as well as learning some incredible new arrangements with a space theme! Our sessions consist of learning new lyrics and harmony parts before bringing them altogether to hear the power they hold. They fill you with pure raw emotion. The kind that makes the hairs on the back of your arm stand up when you hear all the parts cut through each other, perfectly synchronise and then blend seamlessly to create the overall sound. I couldn’t help myself and jump at the opportunity to stand in the middle of the circle at a session and hear the arrangement for one of our songs for the set list come together. I can’t even begin to imagine how huge it will sound when we place ourselves alongside the other choirs. There really is something special about performing with other people who you’ve not met before who are part of what you do too. And as for our finale at the O2, it definitely isn’t something to be missed!